Did you feel that? A political earthquake just rumbled through the country. Donald Trump has defied political norms and conventions to reach the highest office in the U.S.. It was a shocking outcome for some, as polls and predictive models suggested his Democratic challenger Hillary Clinton was in the lead. But on Election Day, Trump tore through key battleground states like Florida and Pennsylvania, along with conventionally red states, to surpass the 270 electoral votes required to win the presidency. Clinton ended up with 228 electoral votes. 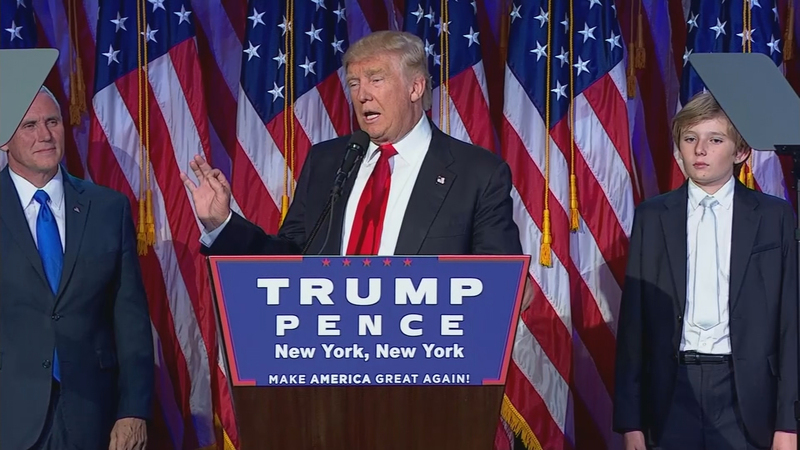 The big question is whether the policies of president-elect Trump will mirror some of the controversial and divisive issues he spoke of on the campaign trail. Carol Marin discusses the implications of Trump’s win and how the real estate tycoon might lead the country with “Week in Review” host Joel Weisman; Laurel Harbridge Yong, Northwestern University associate professor of political science; Pat Brady, former chairman of the Illinois Republican Party; and Tim Schneider, the current chairman of the Illinois GOP.